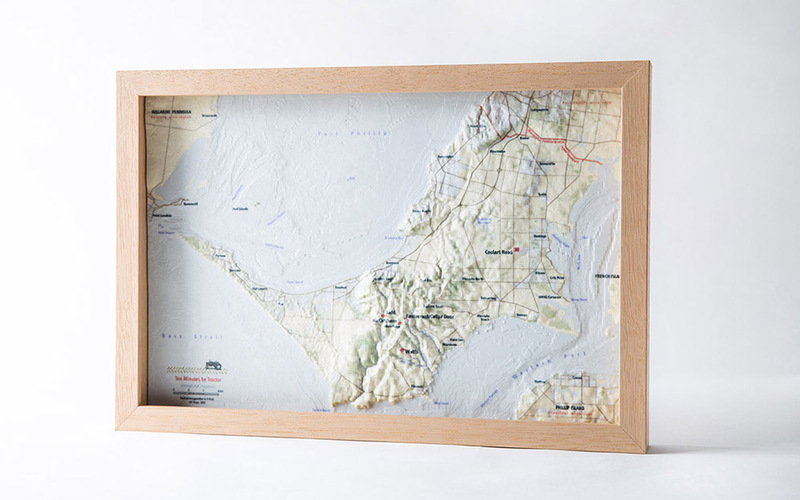 When Ten Minutes by Tractor needed a new way to explain its vineyards to visitors at the winery cellar door, they turned to vW Maps. Ten Minutes by Tractor harvests the grapes for its wines from four vineyards across the Mornington Peninsula, one of the premier wine regions of Victoria, Australia. In order to illustrate the differences in soil, elevation and climate that account for the unique characteristics of the sites’ grapes, the winery commissioned a terrain model for use at their restaurant. 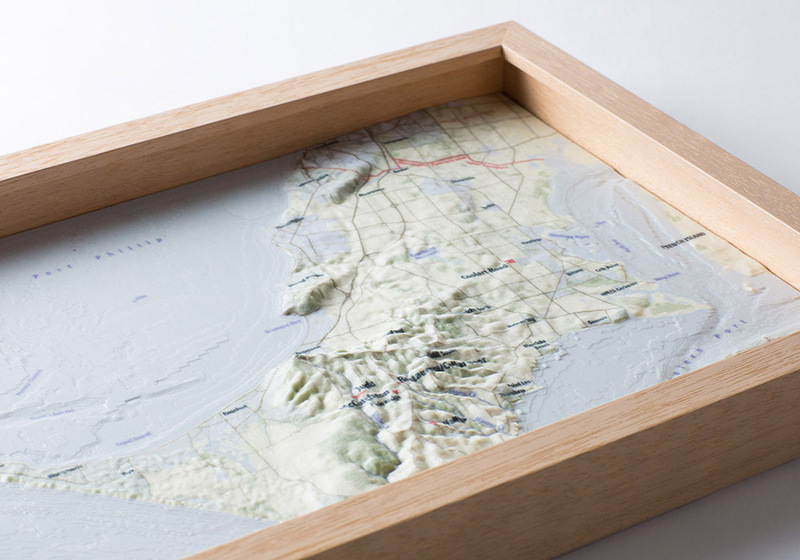 Now visitors can easily grasp the factors that make up the terroir of each site, whether it’s the exposure to winds off Bass Strait, a low elevation with sandy soils or a westerly aspect that increases afternoon sunshine. 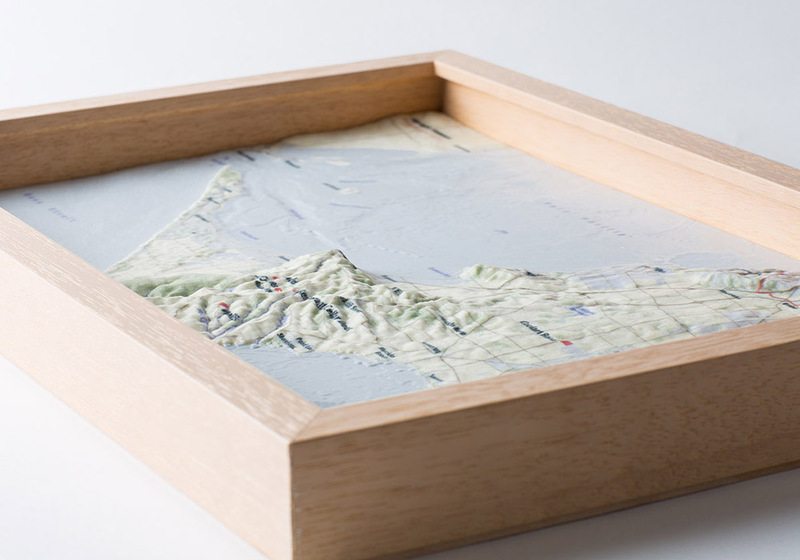 Although digital in its origins, design and manufacture, the terrain model is beautifully tangible and accessible when placed on the tasting bench next to a glass of wine. 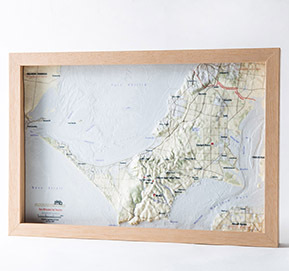 We started with a detailed elevation model of the surface of the land and two of the sea floors and added the locations of the vineyards and the boundaries of the wine regions we’d mapped for our Wine Map of Victoria by Max Allen. Through the digital mapping process we’ve developed and described in a journal article, we created an electronic file that went to a 3D printer. 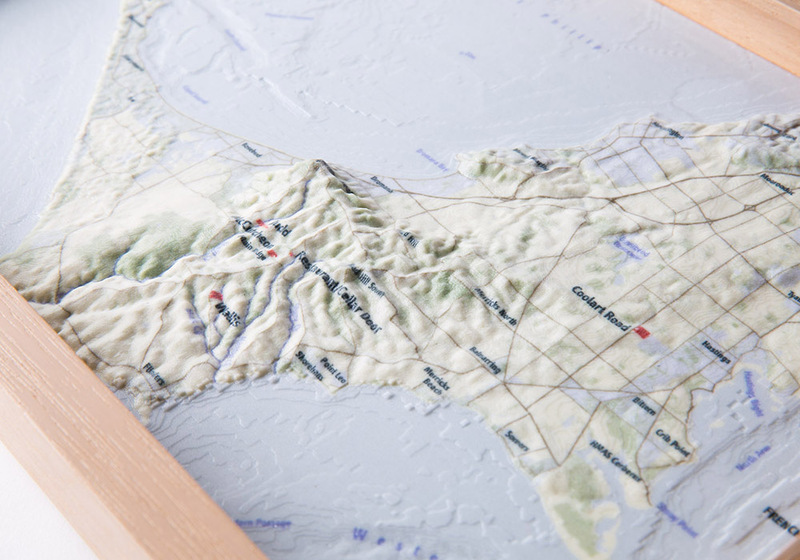 What emerged after a 5-hour printing process was a full-colour map of intricate detail that’s pleasing to hold, attractive to behold and easy to understand. Our terrain model was a finalist in the 2016 Victorian Premier’s Design Awards.